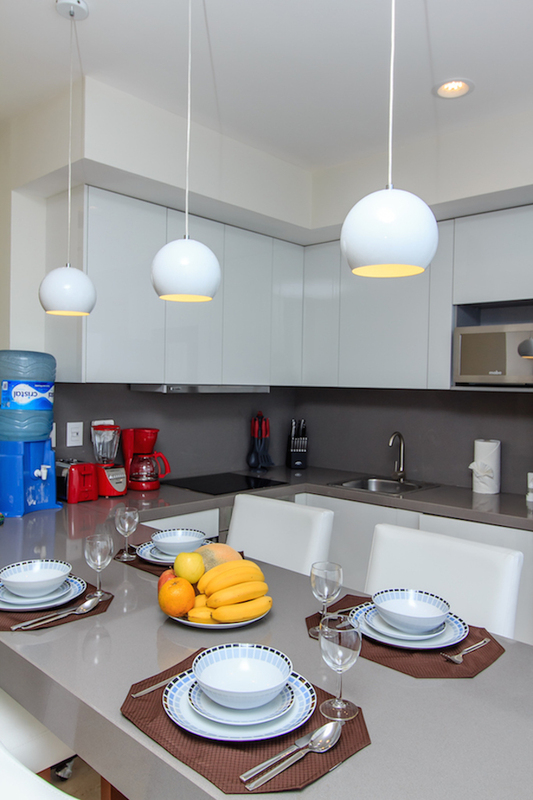 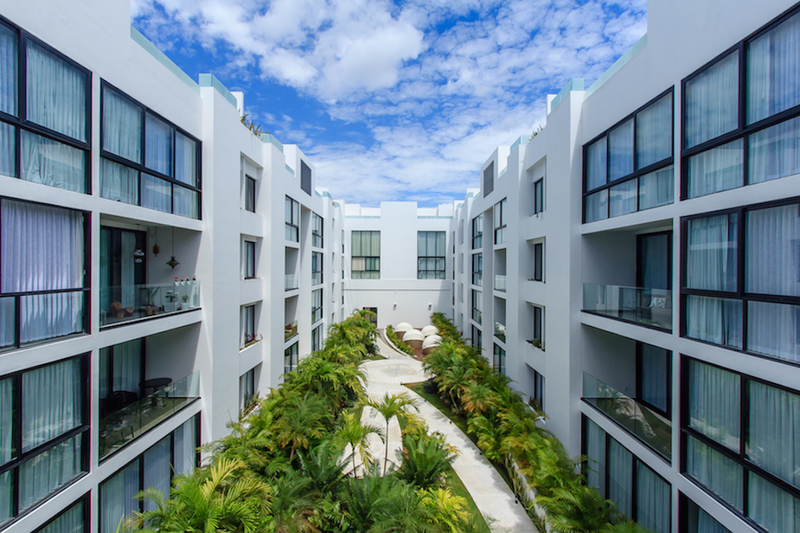 Located just minutes from 5th Avenue and the beach, you can enjoy the city and the quiet of this complex during your stay. 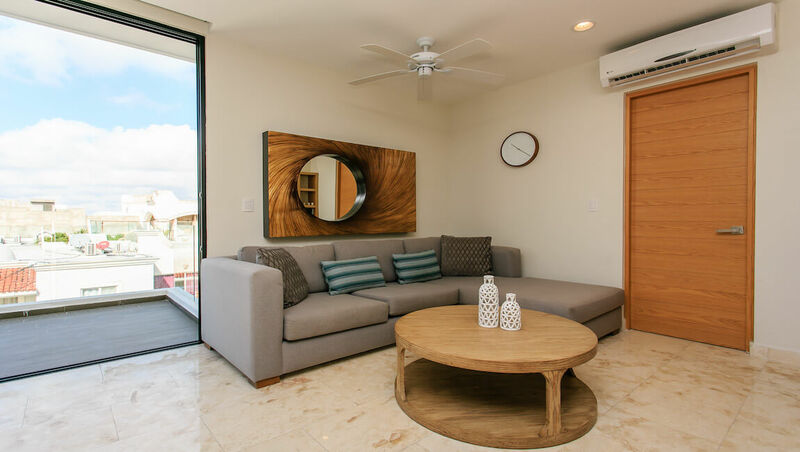 This three bedroom condo sleeps 6 comfortably; the master bedroom has a king size bed, the guest bedroom has two twin beds and the third bedroom / studio has a sofa bed. 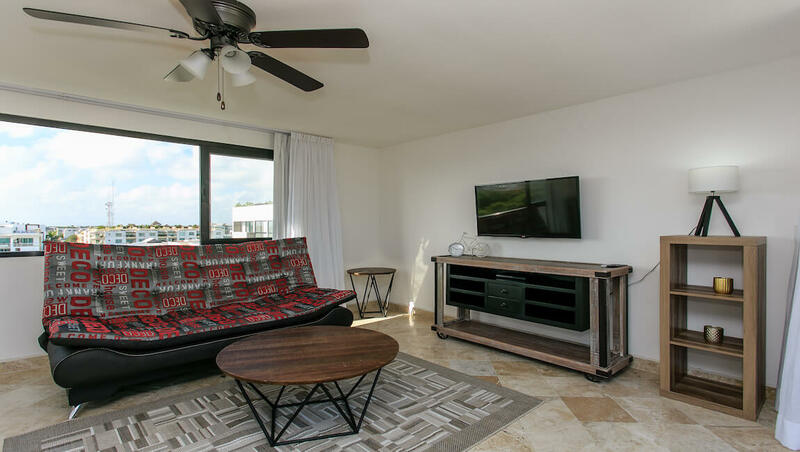 The living room has a sectional couch for relaxing; the fully equipped kitchen offers everything you need to prepare a meal. 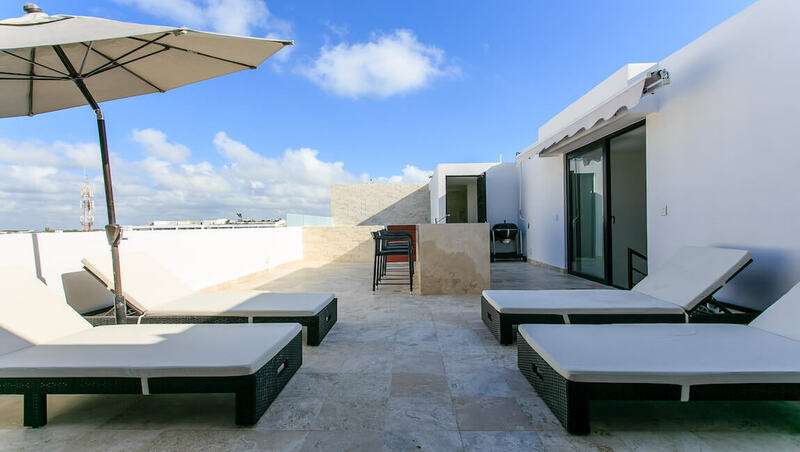 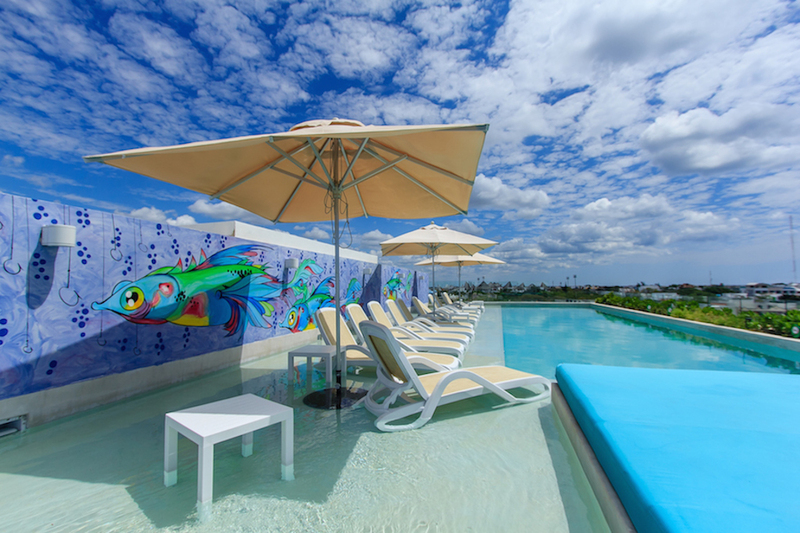 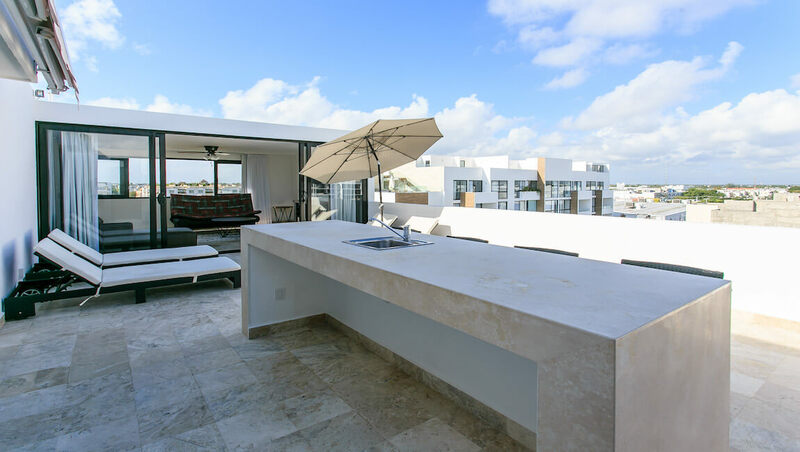 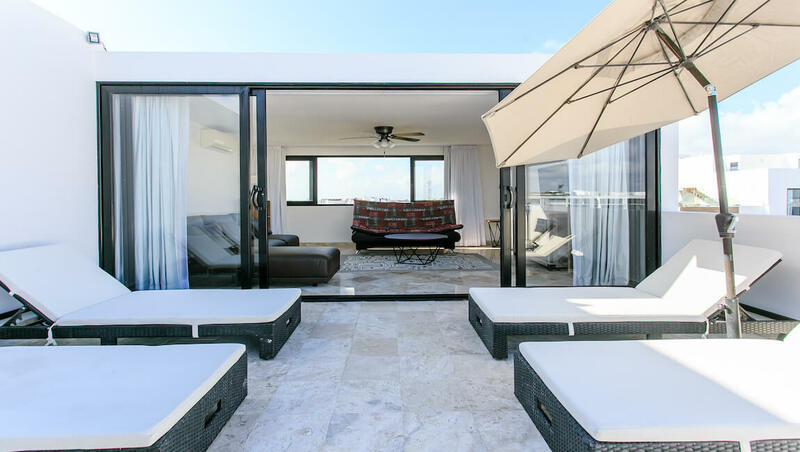 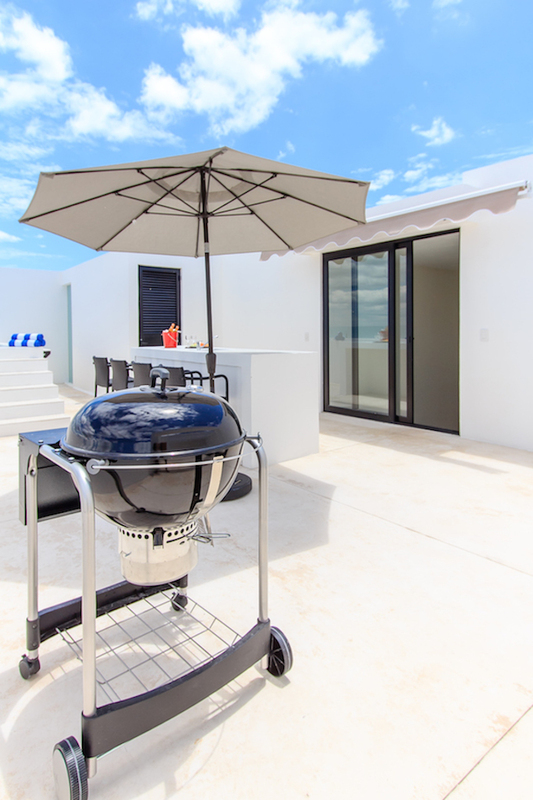 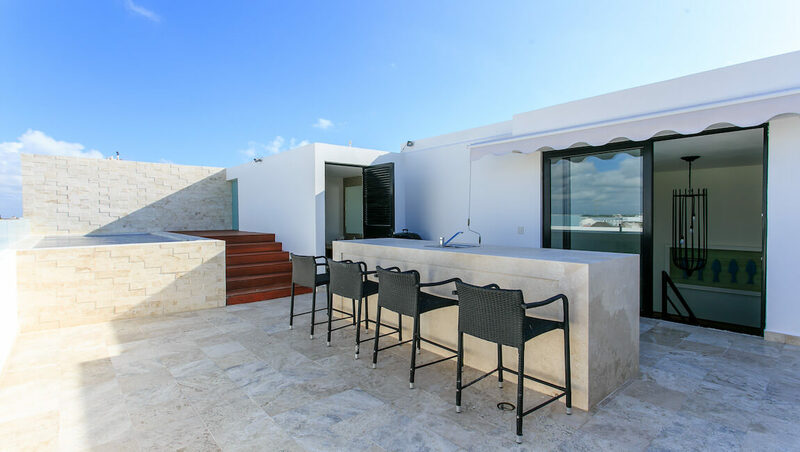 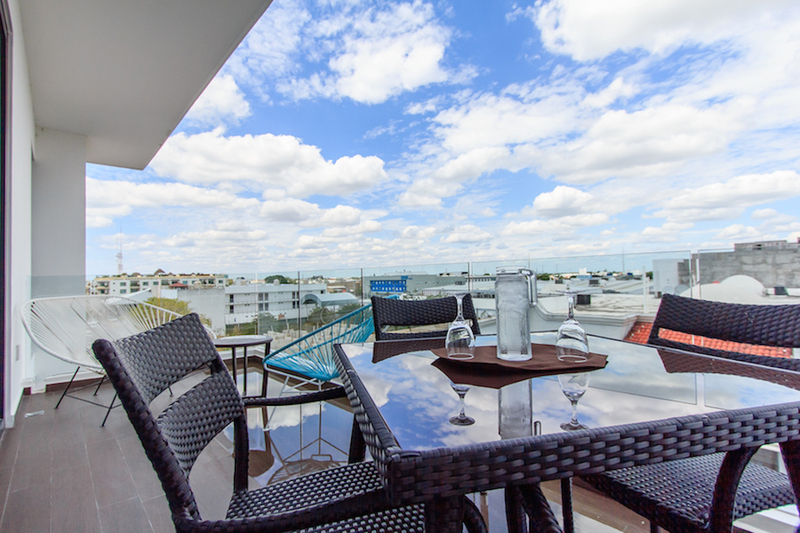 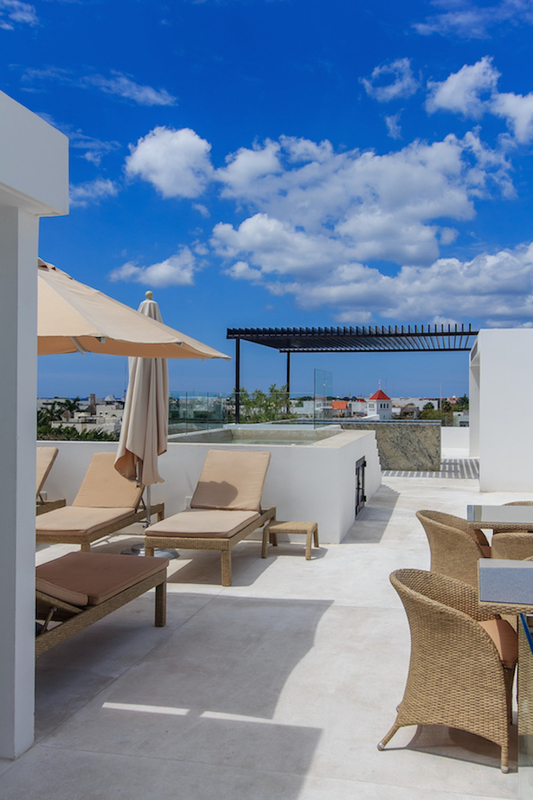 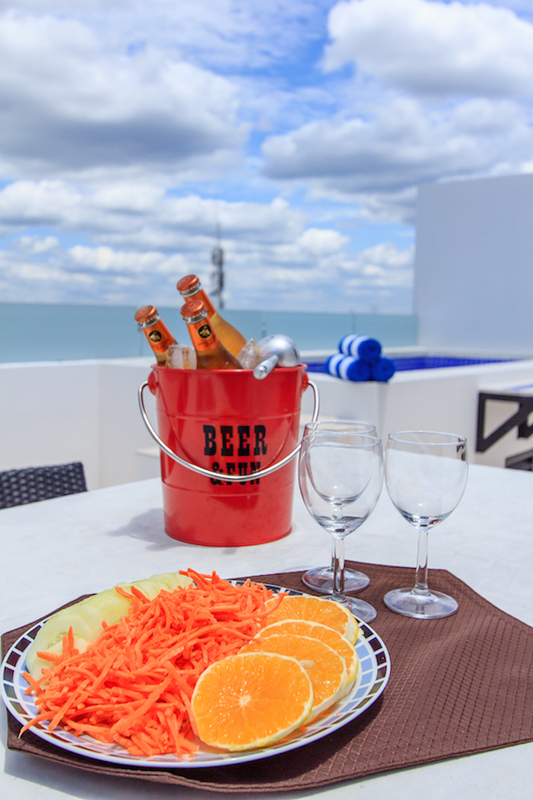 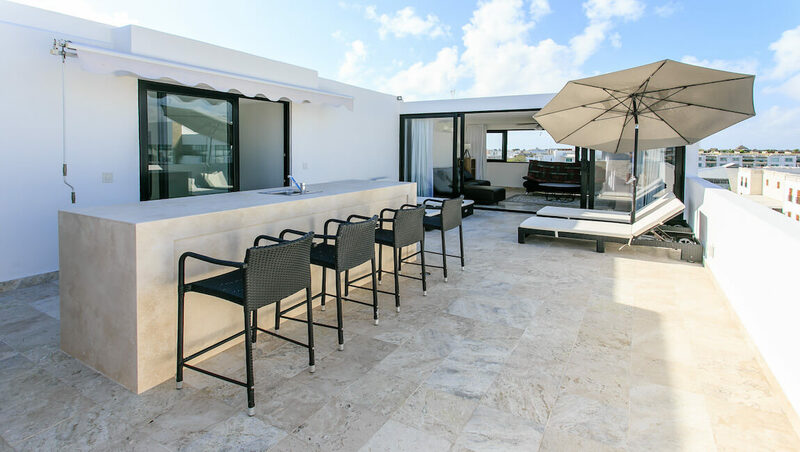 The breakfast bar offers a quaint area to enjoy your meal or you can dine al fresco, on the private rooftop terrace that also has a pool, lounge chairs and barbeque. 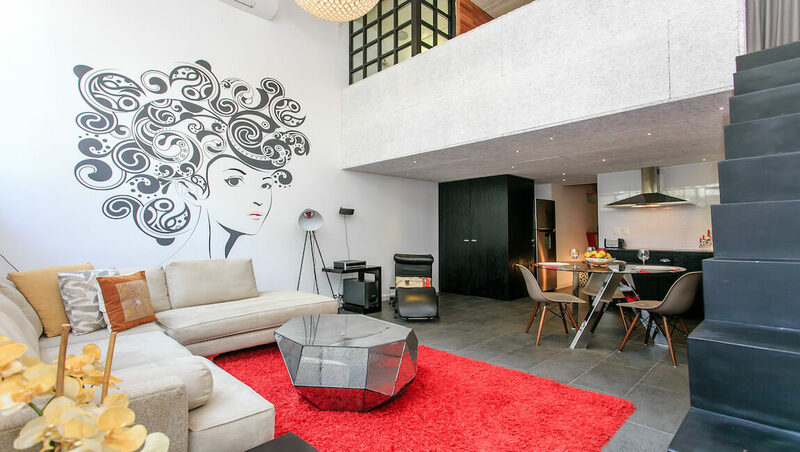 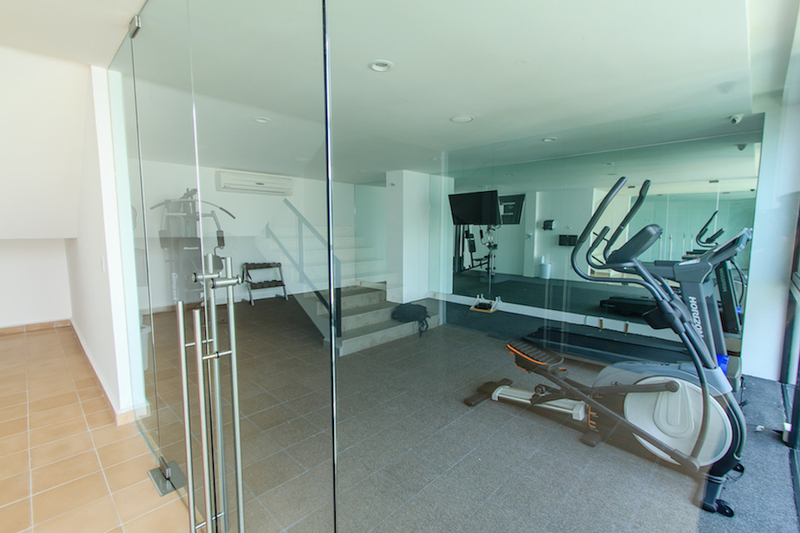 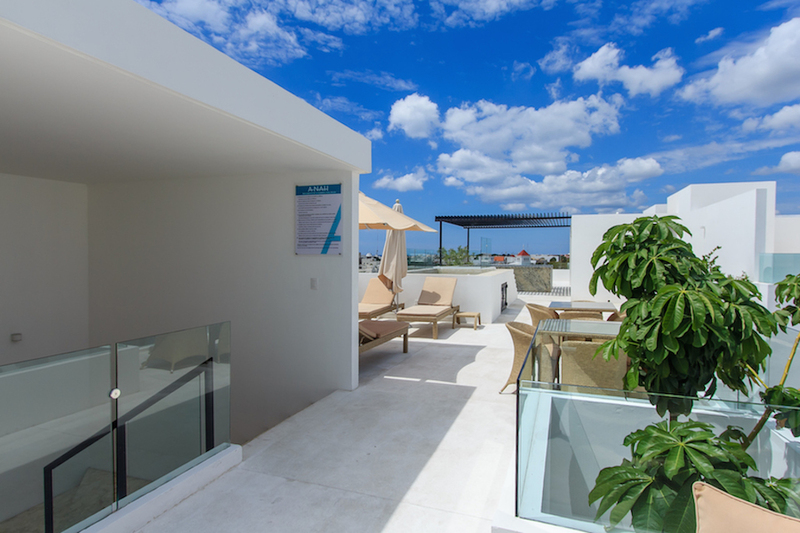 The common areas of this complex have a gym and shared rooftop area, with pool, lounge chairs and bathroom. 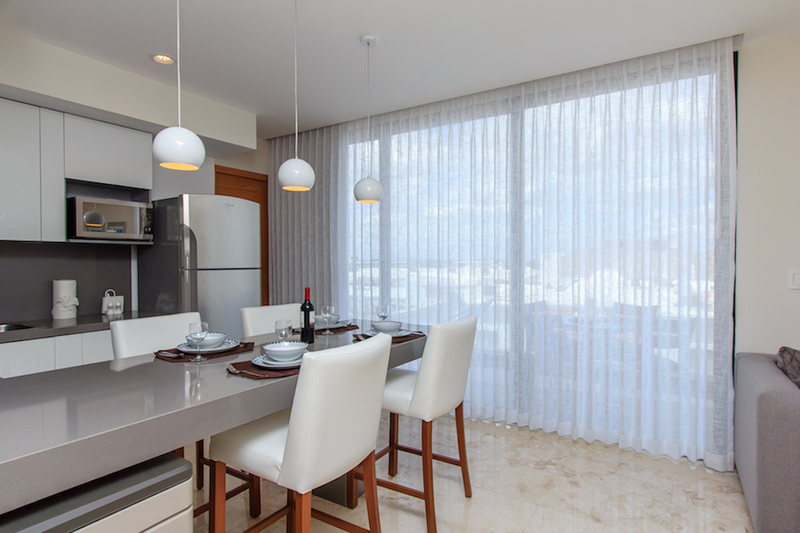 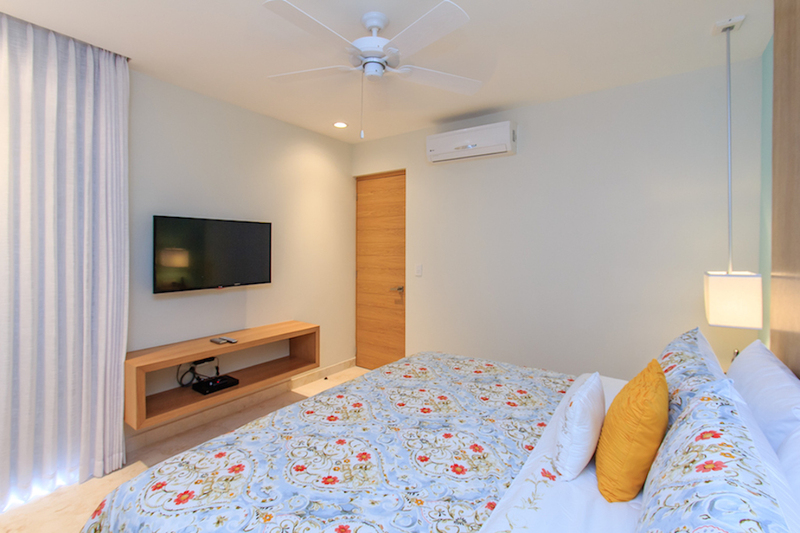 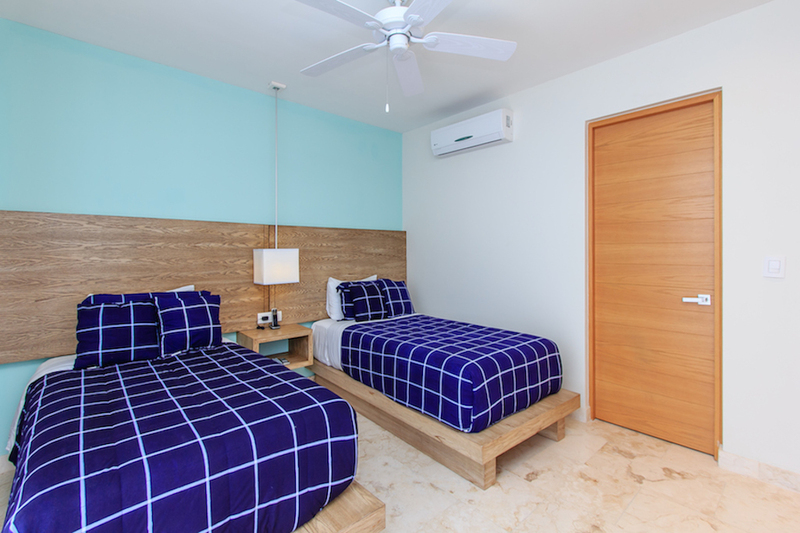 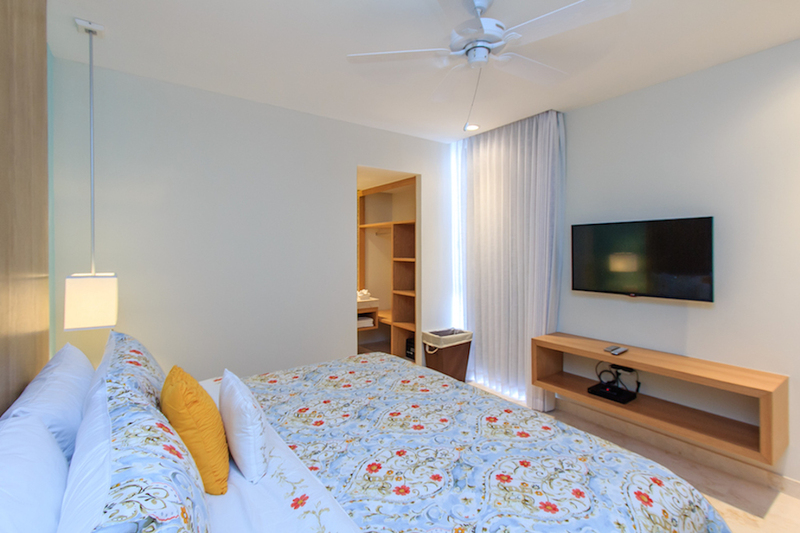 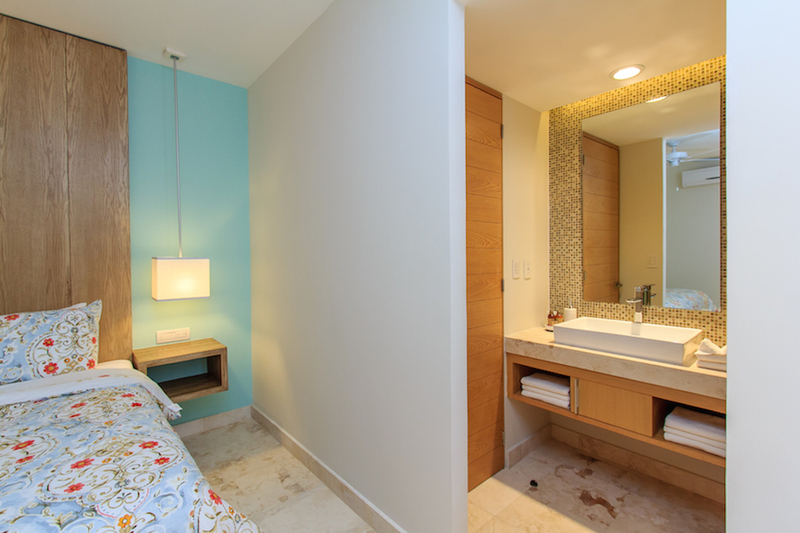 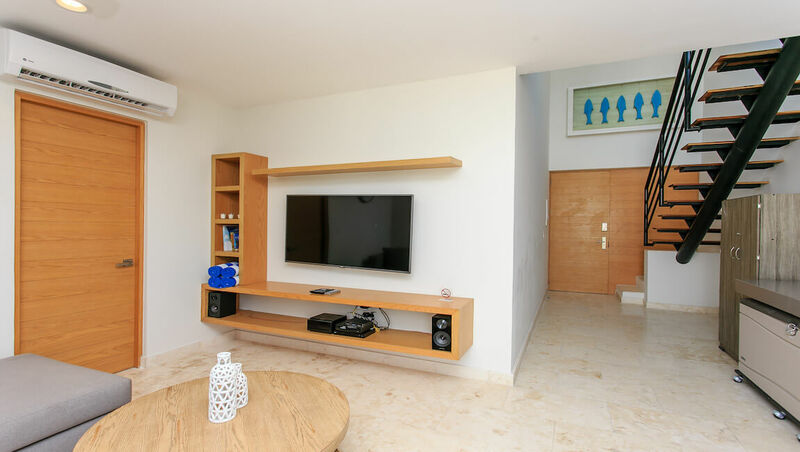 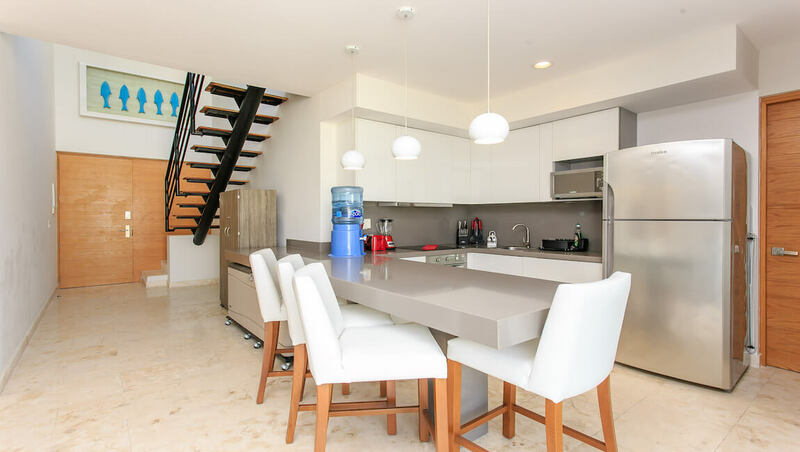 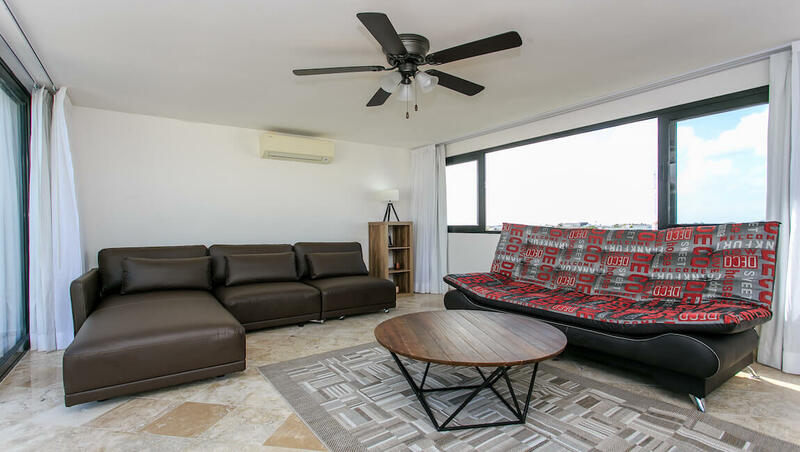 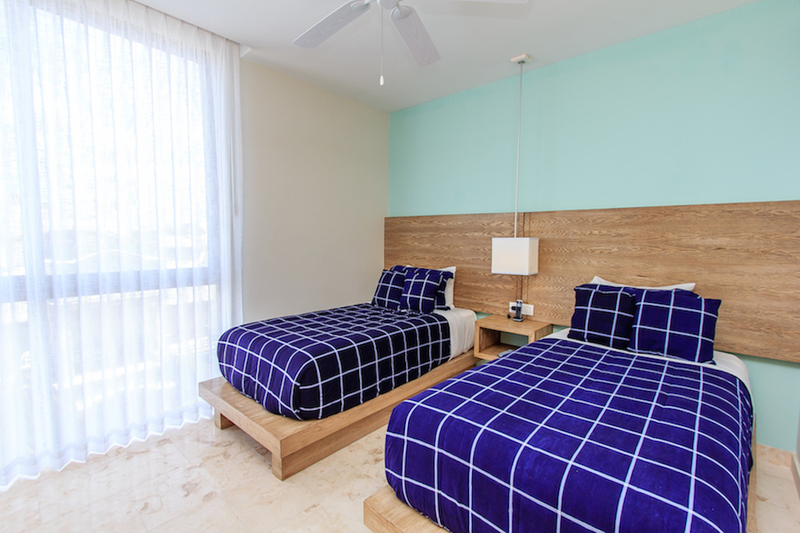 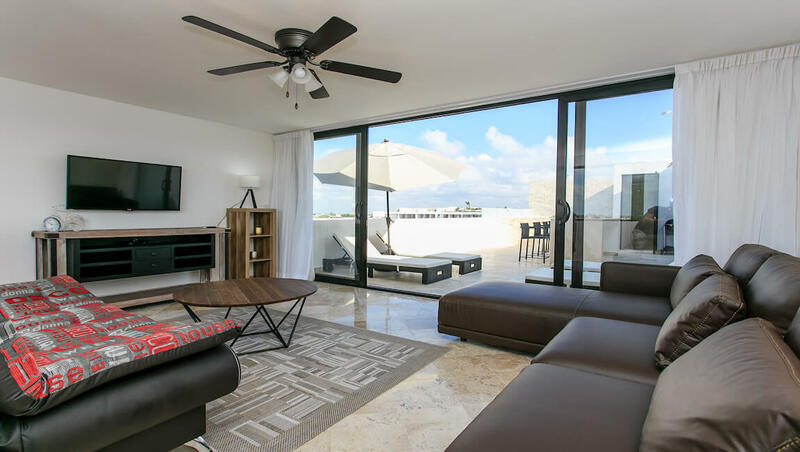 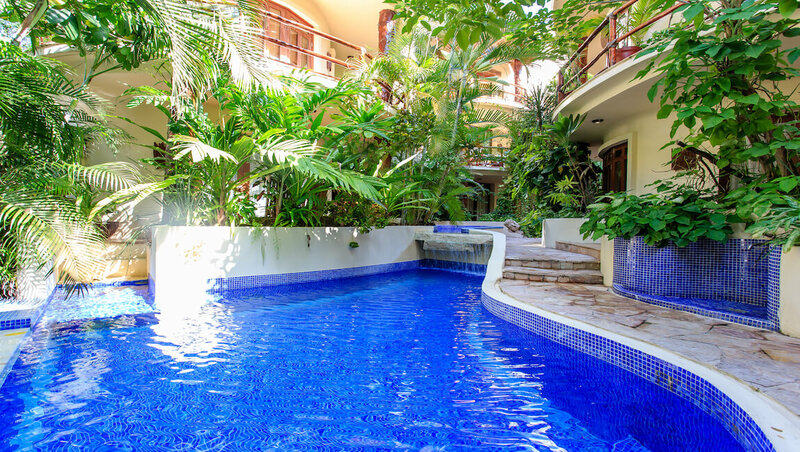 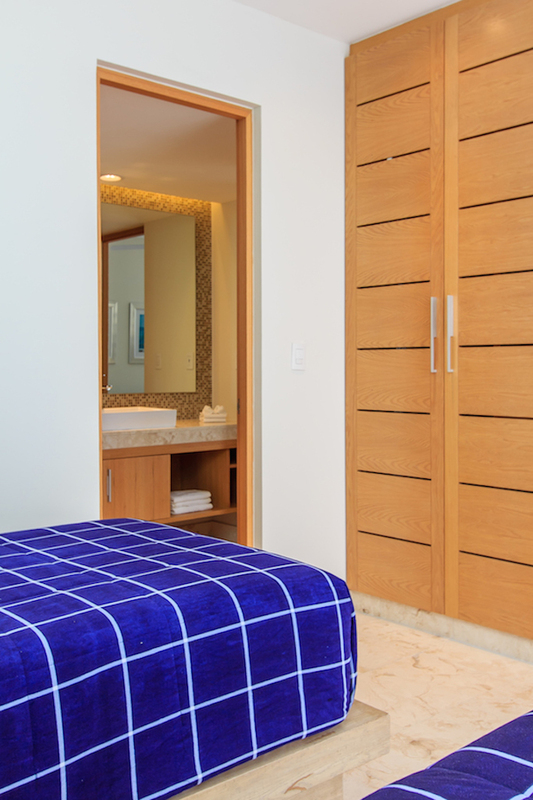 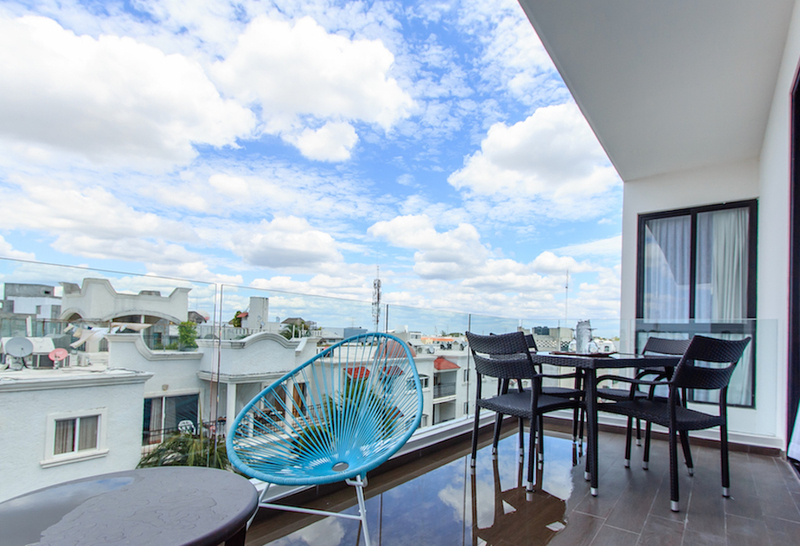 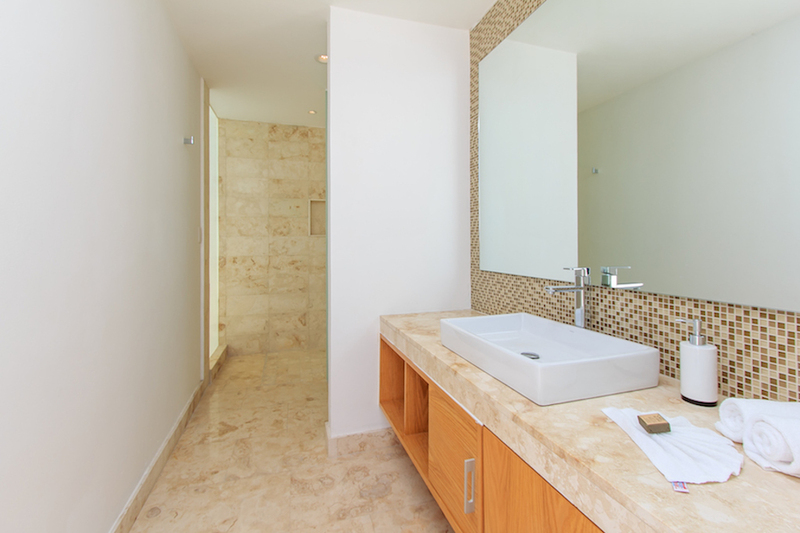 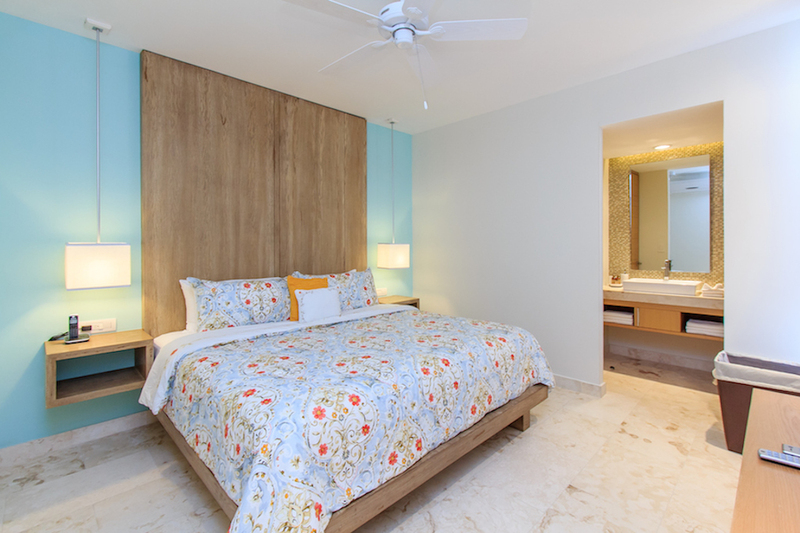 A great choice in Playa del Carmen condo rentals, book your tropical getaway today!